Researchers from the Eunice Shriver Kennedy National Institute of Child Health and Human Development recently published a study on hormone levels in women experiencing anovulation. The study was published in the journal Human Reproduction. Based on information collected during two consecutive ovulatory cycles, women with at least one anovulatory cycle may have reduced reproductive hormone levels compared to women who do not experience anovulation. 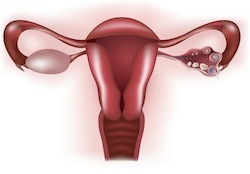 Anovulation is a common occurrence with most women occasionally missing an ovulation cycle. Researchers were able to pinpoint the reproductive hormones affected by testing various reproductive hormones eight times per cycle for two consecutive cycles. Women who experienced anovulation measured lower estrogen and progesterone levels consistently, even when they did ovulate. During the anovulation cycle, no surge in luteinizing hormone was noted. Researchers note that women were only followed for two cycles and no ultrasound verification of ovulation was available. Not all women in the study completed the entire 16 visit cycle with 6% completing less than seven visits per cycle. Source: Hambridge HL, Mumford SL, Mattison DR, Ye A, Pollack AZ, Bloom MS, Mendola P, Lynch KL, Wactawski-Wende J, Schisterman EF. The influence of sporadic anovulation on hormone levels in ovulatory cycles. Hum Reprod. 2013 Apr 15.